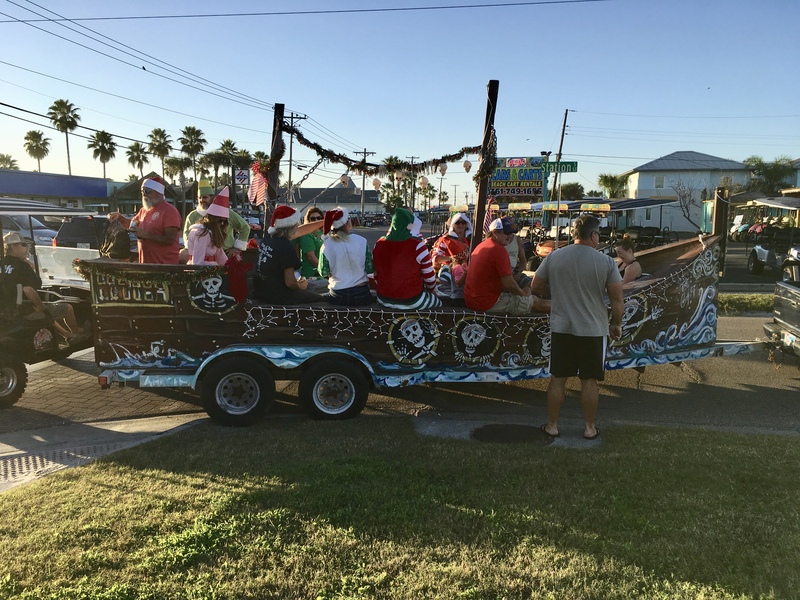 There was a parade yesterday in Port Aransas. 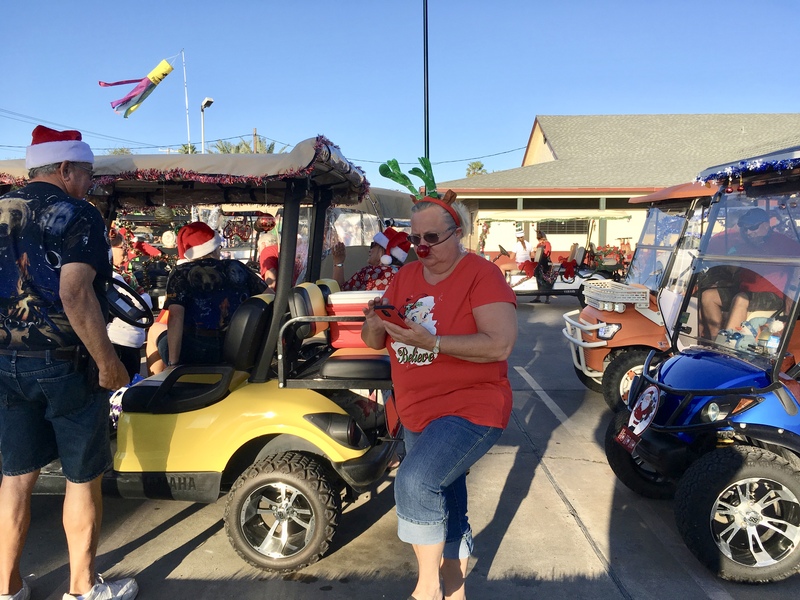 It was the annual holiday parade to benefit the EMS toy roundup. 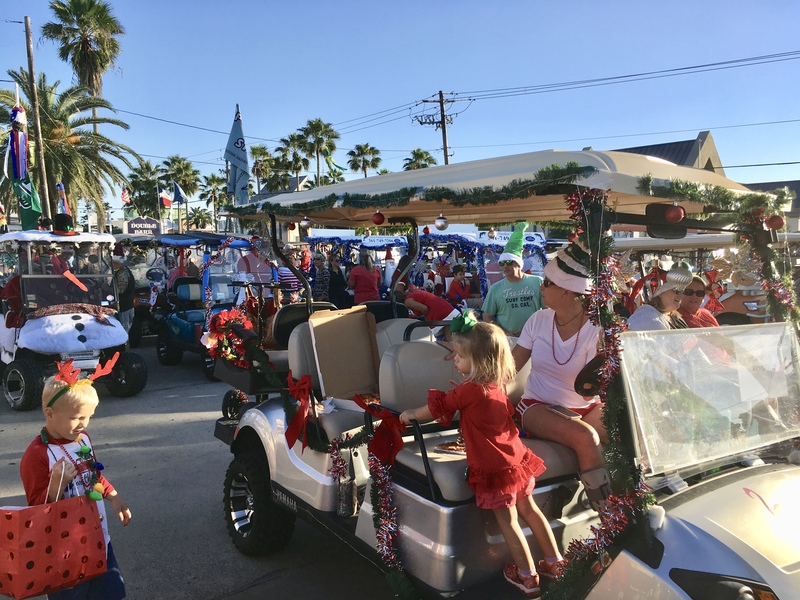 There were so many who came to participate that to take photo’s of the parade itself would have made selecting which carts to show here an impossible task. 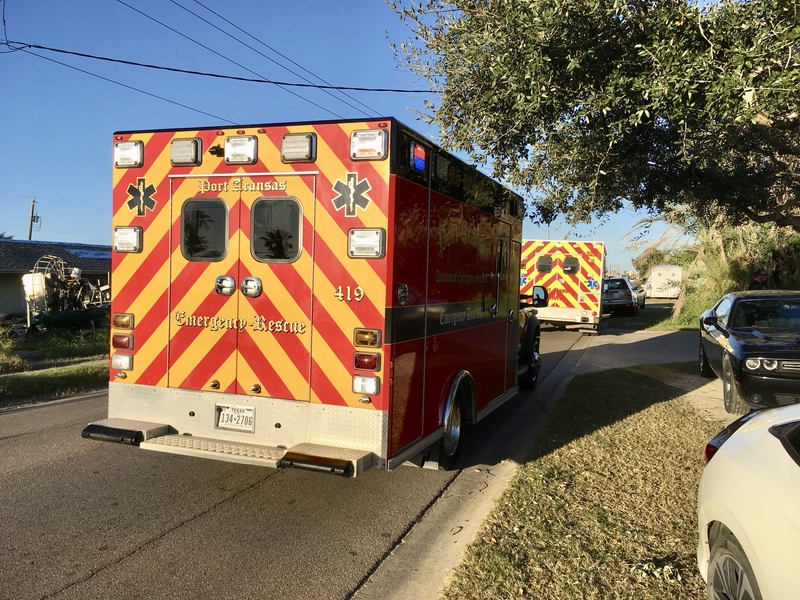 So I went to the staging area and took some shots. 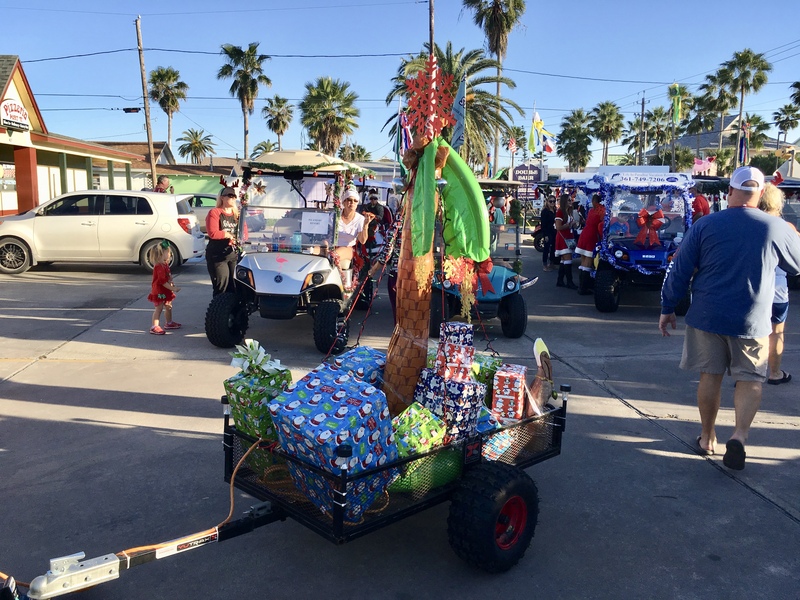 Hopefully, you’ll get an idea of the festive nature of this parade. 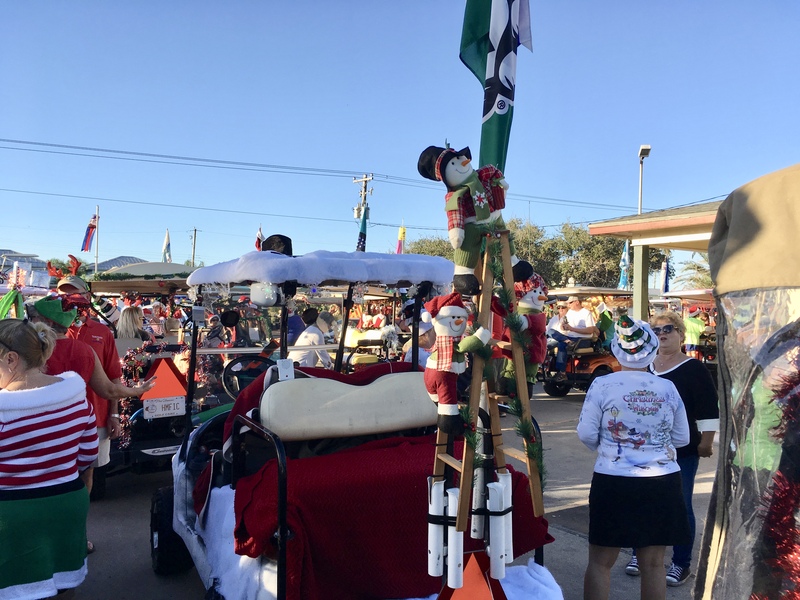 Folks decorate their golf carts and make a voluntary donation to the EMS toy roundup. 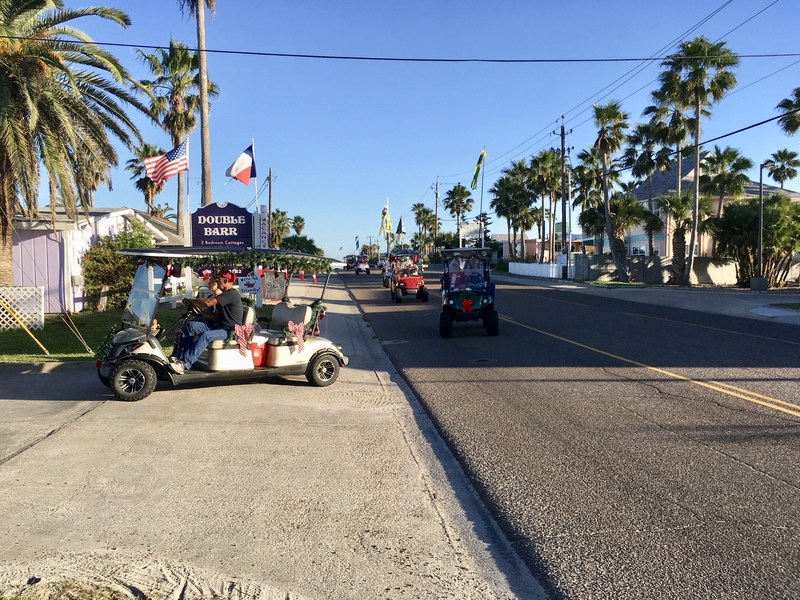 Here is a number of carts arriving at the staging area. The staging area is getting quite crowded. 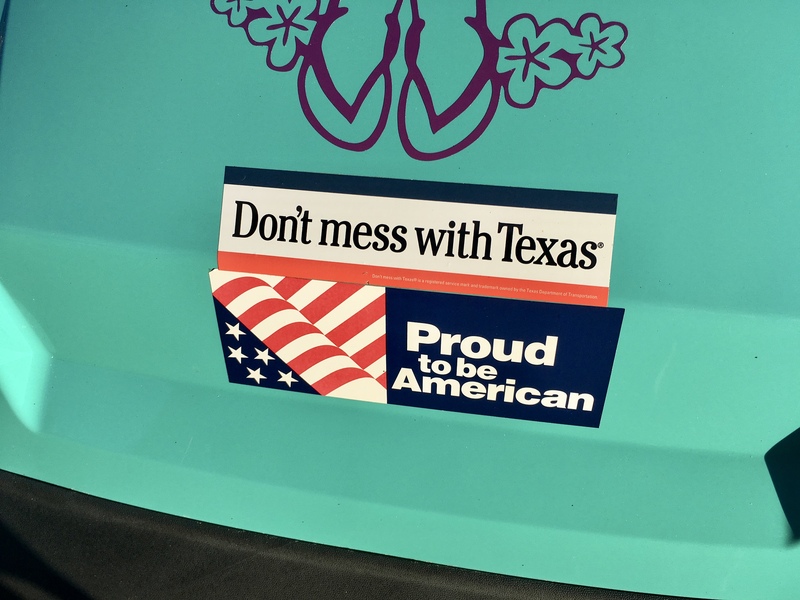 A jeep to enforce the Don’t mess with Texas mantra. They did, Andrew. Thank you. People really get into it. Texans know how to have fun. 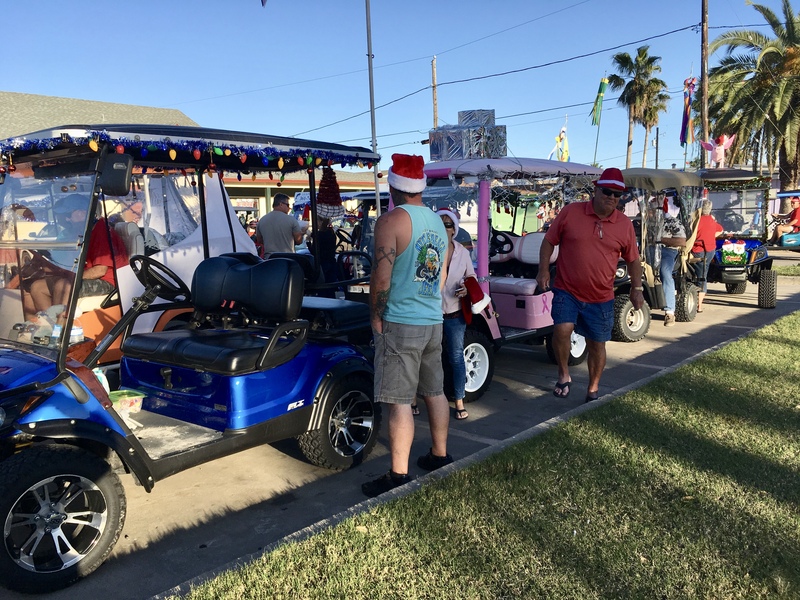 With good weather and a golf cart, it’s party time. 😀 YAY for you all. Enjoy the day, John. It’s too cold in Missouri to frolic outside. Thank you, Gwen. It was a festive event. What fun and it looks like it was perfect weather, too. I kept looking for Twiggy. 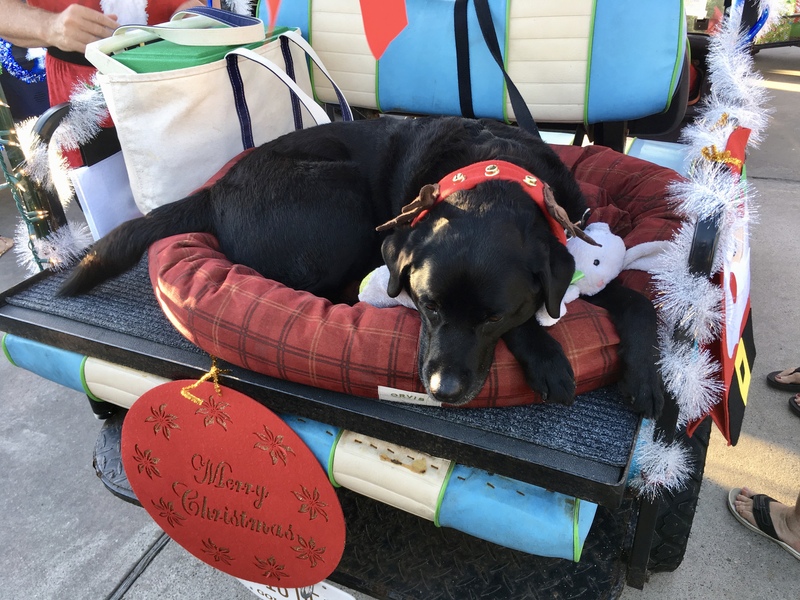 The cute fur ball in the Santa hat is adorable! Thanks for sharing, John. Happy Sunday! The weather was perfect, Jill. Have a good Sunday as well. Gosh ​that looks a lot of fun John. Interesting to see what goes on in other parts of the world. This is one of the more nuts parts of the world for sure. 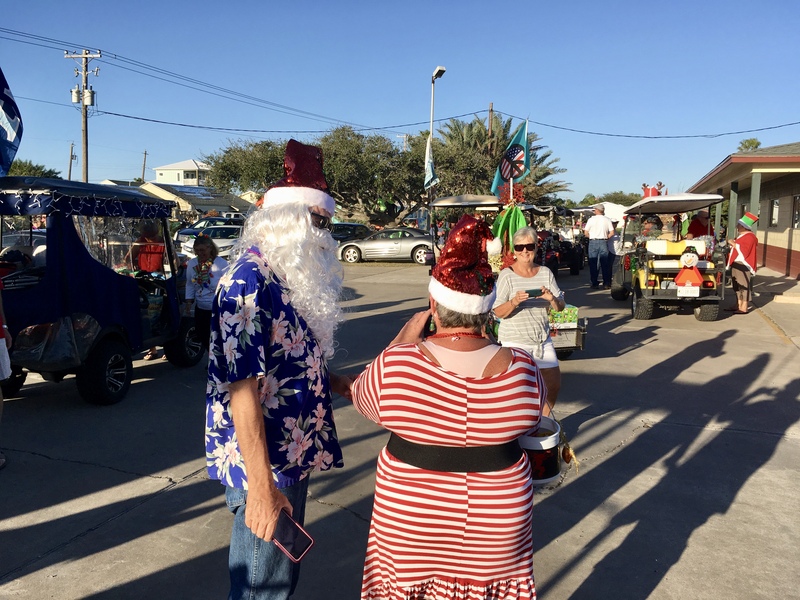 I love the aloha Santa! You guys really know how to enjoy life. Thsnks for sharing the holiday spirit. Thank you for the comment, Dan. Folks here do seem to have a good time for sure. These are always fun. Here in Spain, the big parade is on January 5, the evening before Three Kings Day and they are spectacular. Sometimes the Kings arrive on camels. I would love to see that parade, Darlene. What a nice thing to do. I enjoyed your photos. Thank you, Darlene. Thanks, John, for showing me this parade. How festive, John. Good to see that the animals also get involved. I wonder if Santa jas time to plays golf? He did nine holes this morning. 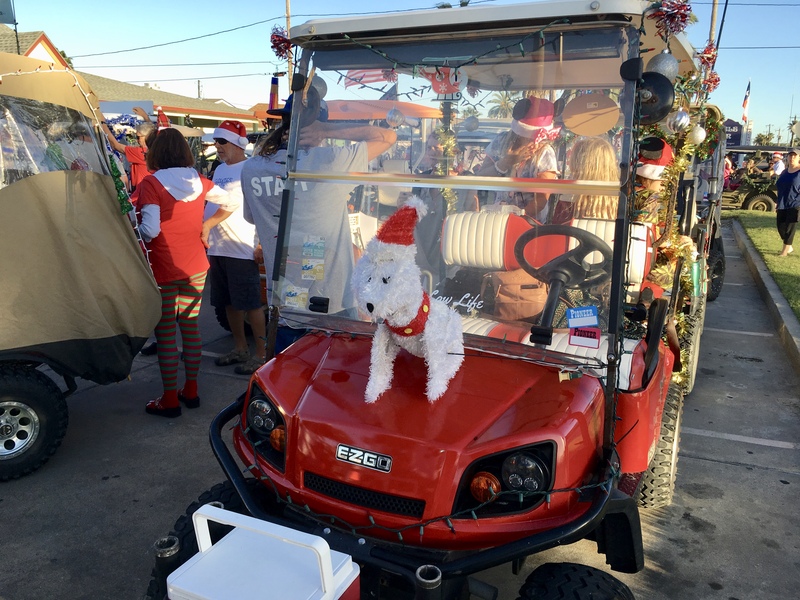 I get such a kick out of the decorated golf carts. These holiday ones are the best yet. Hugs on…. whatever makes reindeer fly! Thank you, Teagan. You know, negative thoughts are bad for the health. Glad I could bring some positive ones instead. Hugs. Looks like a merry old time on the home front. I love the palm tree subbing for a fir tree . . .
We have a lot of palms here so it is pretty common. Great weather for it! Thanks for sharing – good way to capture the spirit casually. It looks like a fun event for all. I’m happy to see Rudolf made it to the parade. 😂 Thanks for sharing and have a wonderful week, John. Oh, wow, John, these are a hoot! Way different from our Christmas Parade, which was held the Saturday before Thanksgiving and was, as I recall, bitterly cold. 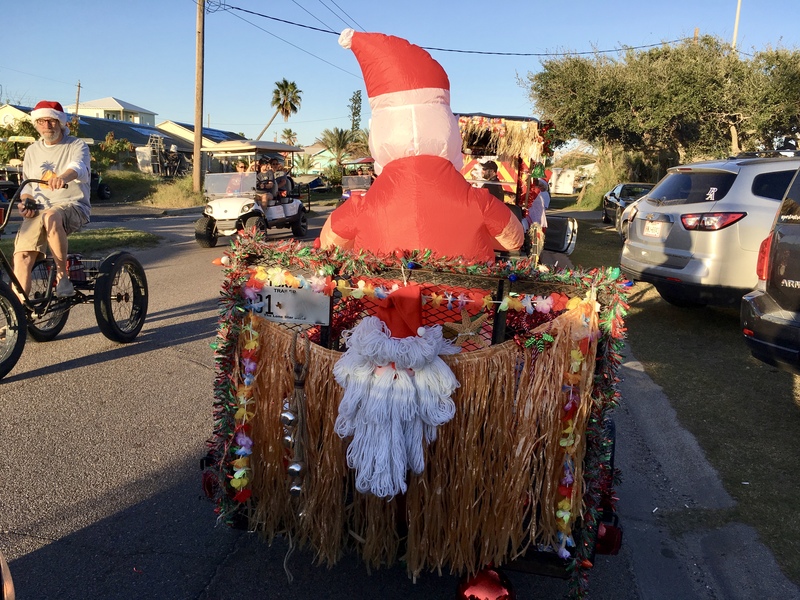 I imagine our participants and spectators would welcome some of those hot breezes, though I’ll bet more than a few would protest Santa in a Hawaiian shirt, ha! Once you get used to Santa is casual clothes it is quite normal. Gotta love the shorts, too! Thank you, Jacquie. It is the mode of transportation here. Looks great, but the bulldog is my favorite. I could bet on that. 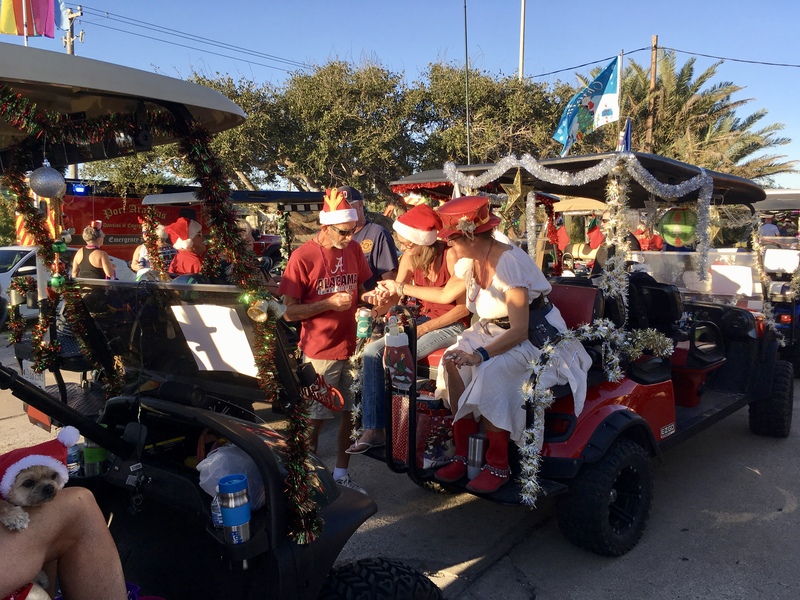 Our city had its parade last night, but believe me — yours looks like a lot more fun! Well, maybe not for the kids, since ours has a lot more kids and many fewer golf carts. But variety’s the spice of life, and all that — and this looks absolutely wonderful. Great pics, too! Thanks, Linda. Given the age of the residents and Winter Texans, kids are definately in the minority. To give you an example the High School graduated under 50 last year. It is an island thing. 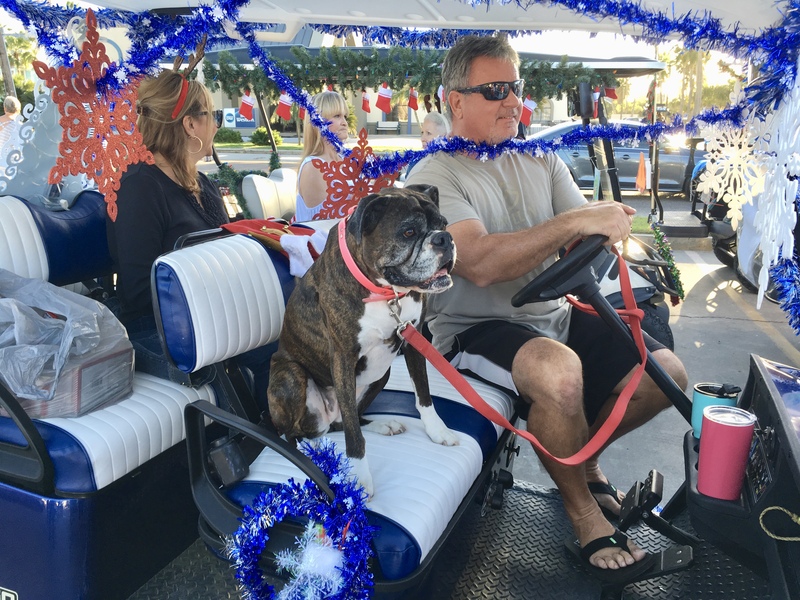 The golf cart is the most preferred mode of transport. I like that. 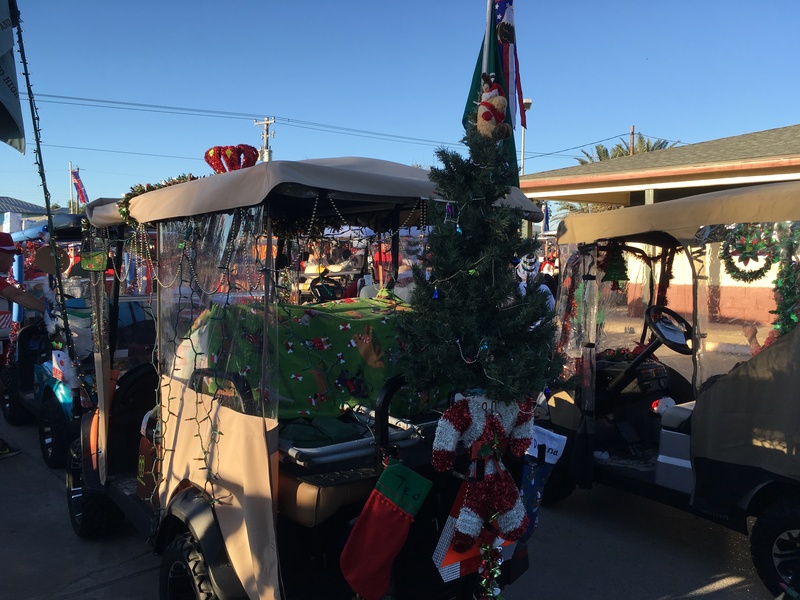 I’m a fan of golf carts from when I was a kid and my grandma had one. That she was and getting mail was fun or visiting a neighbor. I love parades! 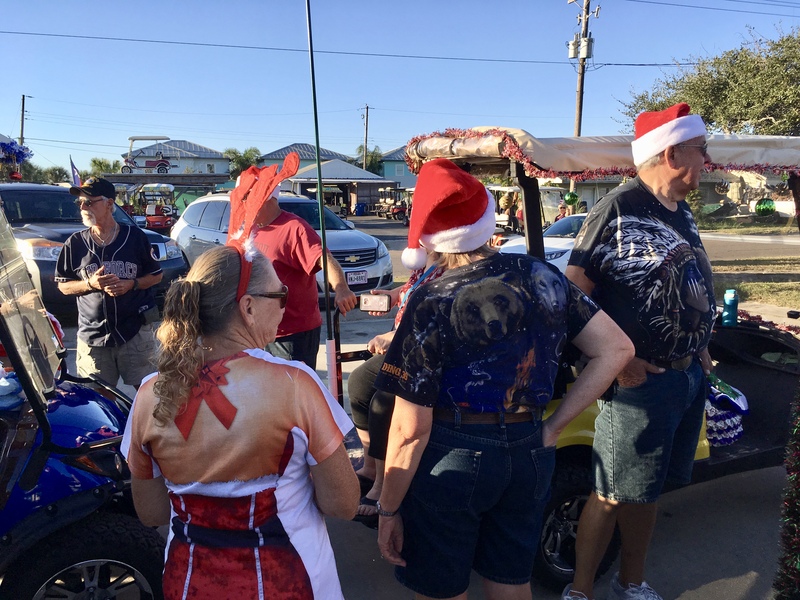 We have the Holiday Parade of Lights here but I can tell you people are dressed much differently than they are there–as in winter coats, hats, gloves, boots… haha! I’m sure the spirit is the same though. Thanks, Rhonda. Love the boat float. 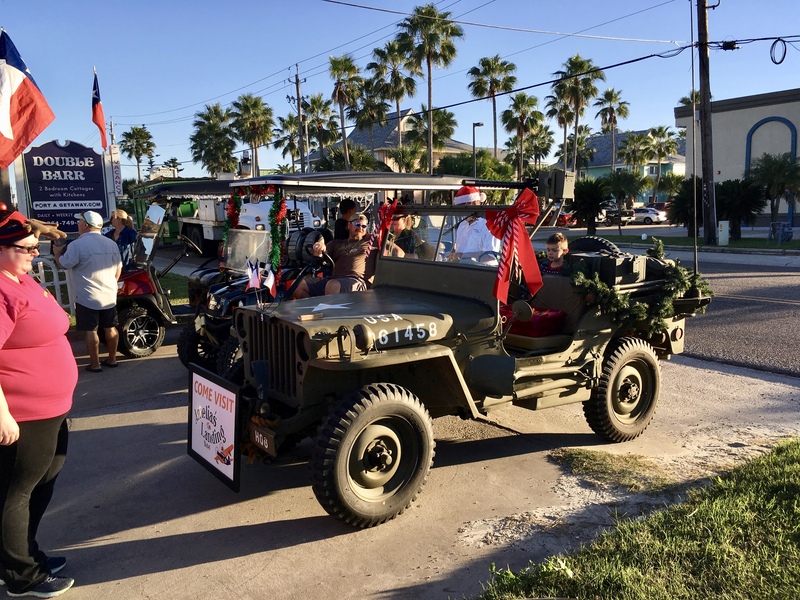 Our parade was scheduled for Saturday, which was cold and rainy, then rescheduled for yesterday – 70 degrees and sunny. Weird weather for December in KY.
That was fun to scroll through! 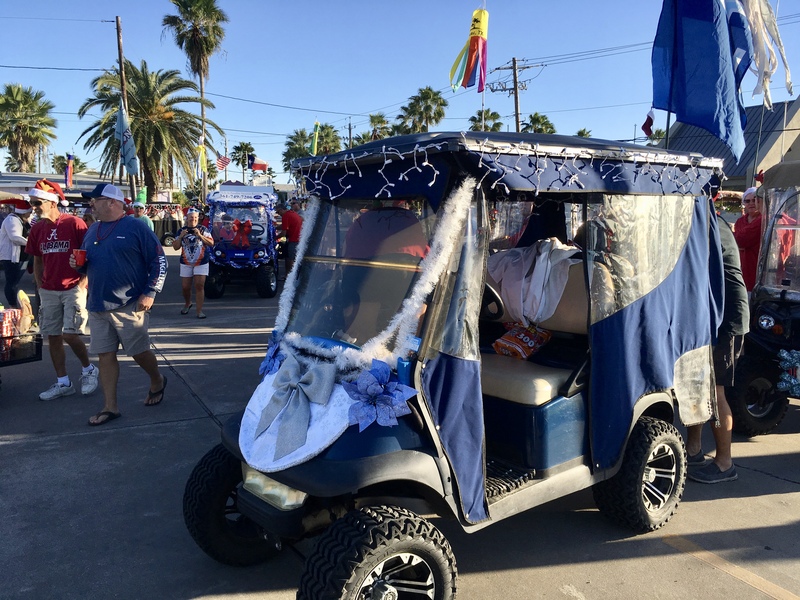 I love the decorated golf carts. That gold one not too decorated looks fancy all by itself. 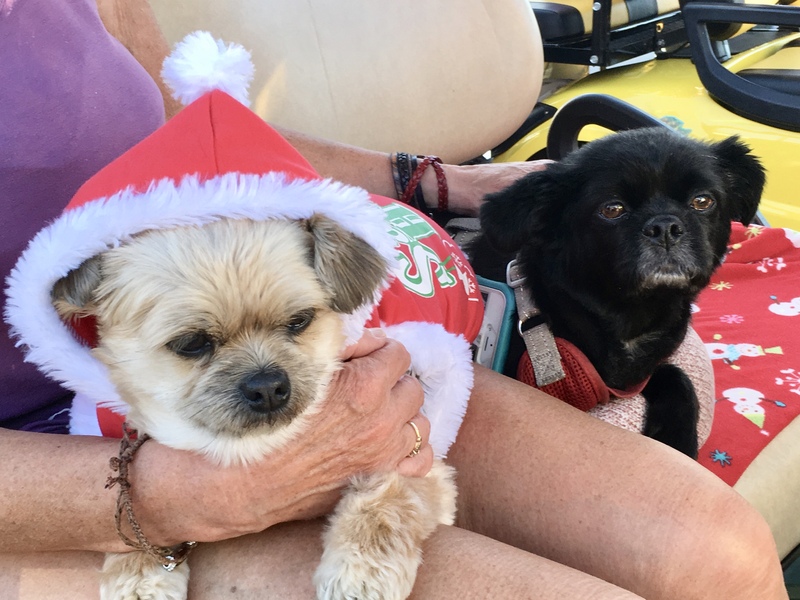 Love the Christmas Palm tree, and the dogs too! Thanks for the smile you gave me this morning.